Robert “Smiles” Smylie is the son of a very wealthy and important man who began a computer software company when Smiles was a baby. Smiles has always felt like a disappointment to his father since he is not a math genius. His mother ran out on him when he was a baby and his loving stepmother died suddenly in a car accident shortly before the story begins. He is struggling to find his place when his quiet neighbor, Ben, asks for his help getting to an encryption conference. 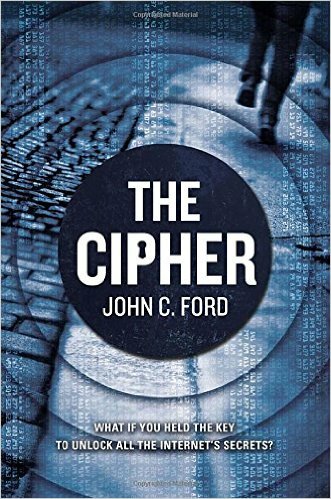 Once there, Ben cracks a previously thought to be uncrackable code that if sold could breach the top secrets of every organization while also bankrupting his father’s company. Ben creates an elaborate plan to protect the code but still get him and Ben some of the profits from discovering such a code. Is this his shot at greatness? Can he and Ben pull off such a big plan and get away with it? This title reads like a heist movie in that there are lots of aspects to their plan and there are many players in the game who have plans of their own. Smiles learns a lot about his dad’s past and the truth about the beginning of his company and why his mother really left him. There are many surprises and plot twists, but the story definitely has some slower moments as well. Recommended for fans of heist movies. Daniel Wright enlisted in the Idaho National Guard as soon as he was eligible, which means he is still a senior in high school. He lives with his very needy mother, plays football, and has a girlfriend. The national guard is only supposed to be one weekend a month until he graduates from high school, but then a law is passed that many people do not agree with including the governor of Idaho. When he refuses to comply with the law he calls in the national guard to combat any possible rioters and Daniel Wright is one of those soldiers called in to defend the capital. Unfortunately, his gun accidentally fires and it begins a terrible riot that results in some civilian casualties. In the aftermath, the President of the U.S. demands the governor of Idaho reveal the names and whereabouts of all involved soldiers so they can face possible criminal charges. The governor refuses and Idaho faces the very real possibility that they could go to war with the United States of America. Can Daniel fight other U.S. soldiers? Will Daniel go to jail if he is caught by the U.S. military? Will his liberal girlfriend understand the circumstances that led him to this point? 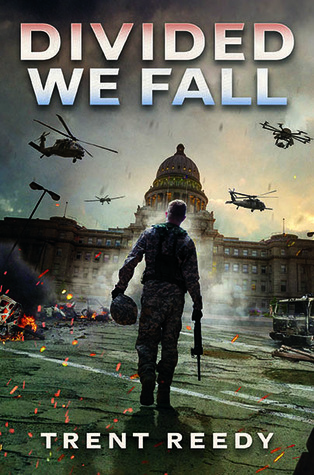 This exciting adventure story shows how plausible it really is that a state could go to war with the U.S. All of the characters are written in a way that you can understand their motivations, feelings, and actions. There’s a lot of soldier terminology used to describe Daniel and his squad’s orders, but it is explained well for readers who do not normally read about soldiers. The story is very exciting as Daniel is thwarted at every move and the ending will definitely leave readers wanting more. Strongly recommended for high school boys.